It's been quite a while since I've been in the market for a new bronzer, but since the demise of my beloved Benefit Hoola I've been keeping an eye out for possible replacements. 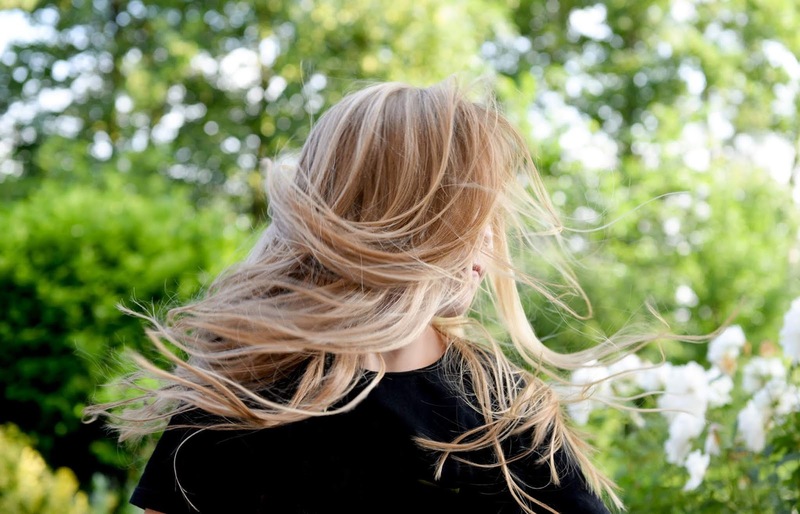 For me bronzer is a year round essential anyway (my corpse like skin needs some kind of colour/warmth else I'll end up scaring the public) but in summer it's especially handy to give your complexion a bit of a boost. 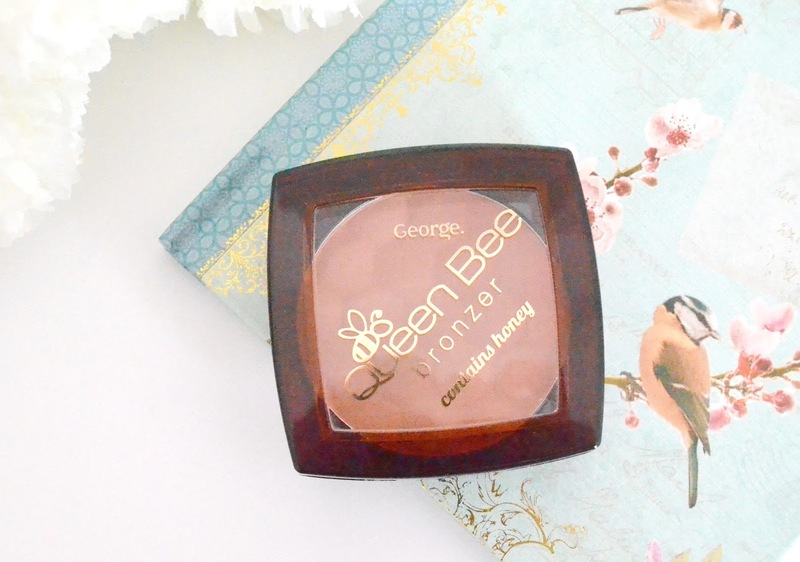 While I feel as though bronzer is something that budget brands rarely manage to get right, I've always been impressed with Asda's George products in the past (they're definitely one of my favourite budget beauty brands!) so was excited to give their new honey bronzer a go. 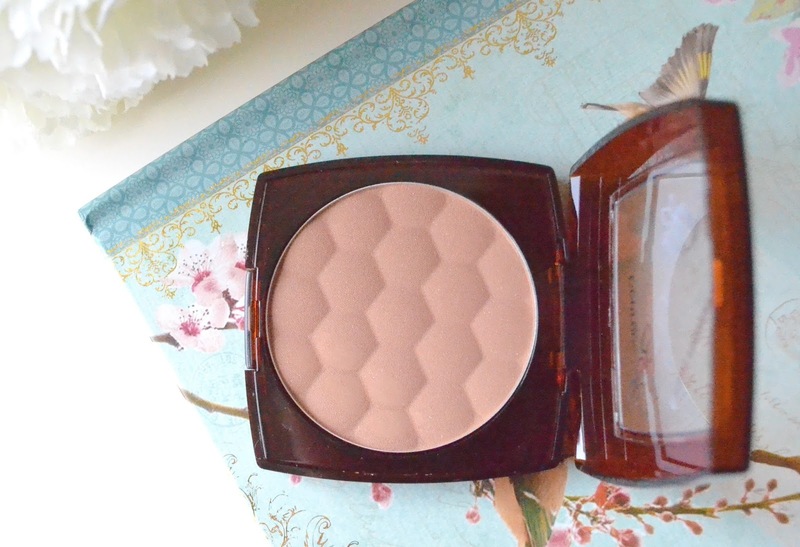 With a cute name like 'Queen Bee' and the fact it contains honey which is known for its excellent skincare benefits, this bronzer was already off to a good start with me. While the packaging itself follows George's basic yet sturdy theme, this is a bit more elaborate and I actually quite like it. I love the honeycomb design imprinted in the product (not too different to the Body Shop's honey bronzer) although where the Body Shop's version is matte this has a nice golden shimmer to it. 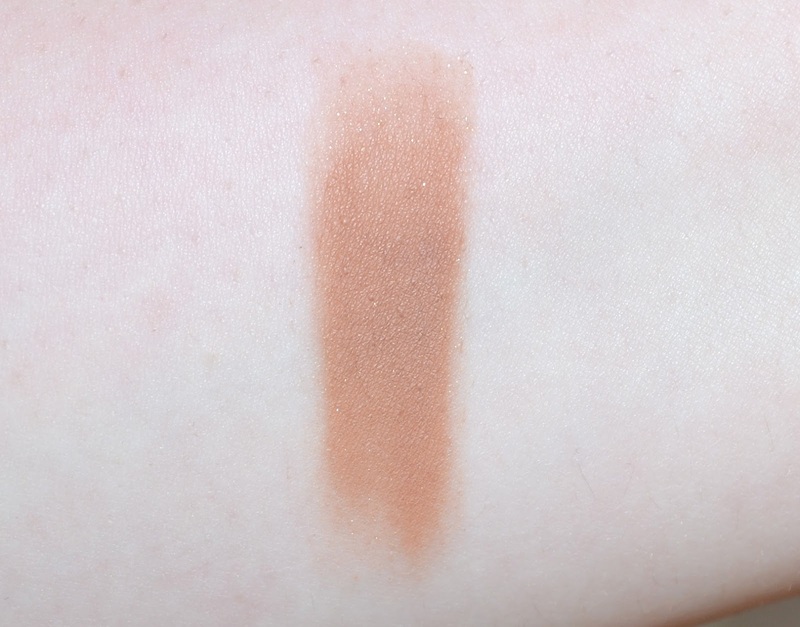 It does have some warm/ orange undertones but still gives a natural colour when blended out and gives a lovely glowy look to the skin. Usually I avoid glitter/ shimmer in face products, but for a summer bronzer I'll push the boat out a bit especially if the finish is still quite subtle like it is in this. The pigmentation is great, you don't need much of it just a small dab on a fluffy brush. I love how easily it blends out too, there's nothing worse than spending ten minutes blending out 'racing stripes' from your cheeks when you've been a bit heavy handed! While this won't be a replacement for my 'Holy Grail' Benefit Hoola bronzer (I'll need something with a cooler tone in the winter once I switch up my summer bronzey products) it's definitely my current favourite and is a really nice budget choice especially for this time of year. There are only a couple of shades but they should work for most skin tones and best of all you can find them in Asda. So if like me you tend to take a detour to the beauty aisle whenever you're doing the weekly shop, you can simply pop one into your trolley. What's your favourite bronzer at the moment?